"PhilaGorilla Movers were amazing. They showed up on time, were extremely fast, and even good with my cats. They were able to hoist my bed up to a third floor window. I thought I was going to have to sleep on the floor. I love these guys." Choosing the right mover can be scary we know. Relax. We at PhilaGorilla Movers, LLC in Philadelphia are dedicated professionals. We stand out from other local moving companies. Our main goal is to provide you with amazing customer service from beginning to end, in the most efficient safe way possible. We are always on schedule and on budget making us one of the best moving companies in Philadelphia. How Soon Should I Call to Book My Move? Right away! Call as soon as you know when you will be moving. We want to ensure you obtain the dates you need for your move. We strive to accommodate all of our customers' schedules as best we can. PhilaGorilla Movers is a licensed and insured, full-service moving company. 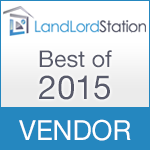 Our clients vote that we are one of the best moving companies in Philadelphia. We offer local and long distance moving. We can also provide an elite packing crew service that can delicately prepare your most treasured items, alleviating some of your pre-move stresses. PhilaGorilla Movers moving and packing crews are highly seasoned and hand picked for their expertise in spatial thinking, professional training, problem solving skills, and positive attitude. Our main goal is to provide you with a stress free move while providing the best value for your moving budget from the best moving company. Copyright 2014. PhilaGorilla Movers, LLC. All Rights Reserved.